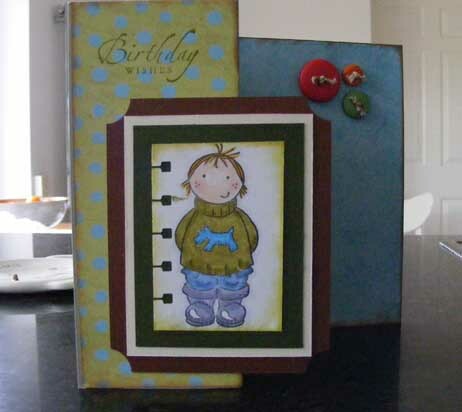 Just a quick card using an image I coloured ages ago. I’m loving the SU spiral punch, it’s great for defining an edge of something. sorry folks, I’ve been M.I.A. – life just got way too hectic to be able to cope with blogging – in fact, I’ve not even crafted for weeks now. 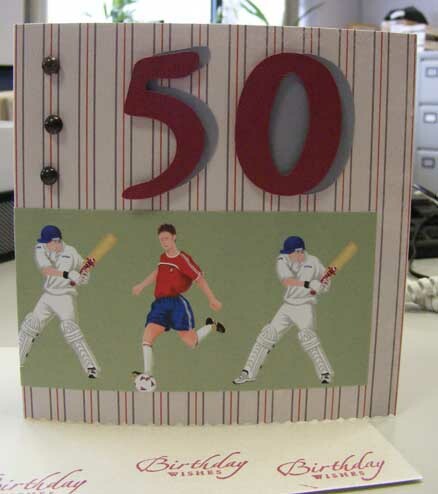 A frenzy of activity yesterday produced this 50th Birthcard (which was a commission for one of my work pals). 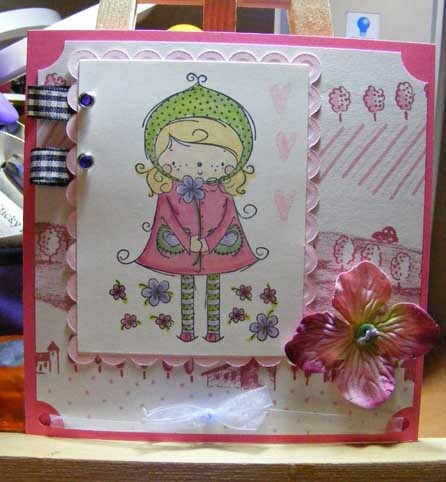 This stamp is Lola with Flowers from the Simon & Lola collection that I received on Saturday. Isn’t it the cutest? 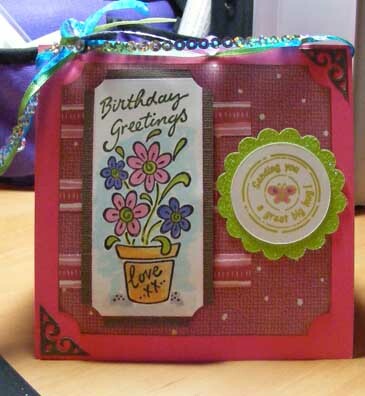 her birthday is the same day as our Toodles, so it’s always a mega cardmaking session at this time of the year. 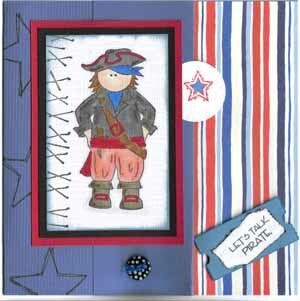 I’m not sure I like this one at all, but it might grow on me (probably should have stamped the circle image in Black, and just may be the sugar coated scallop is a little too bright. What do you think is lacking/wrong with it? No posting for me tomorrow as I’m off up to Ol’ London Town with my Pal straight from work, so won’t be getting home until about Midnight tomorrow. I’ll be interested to hear what you have to say about this one, it’s always good to get constructive feedback – we don’t always like our own work, or can’t put our finger on the problem with something. 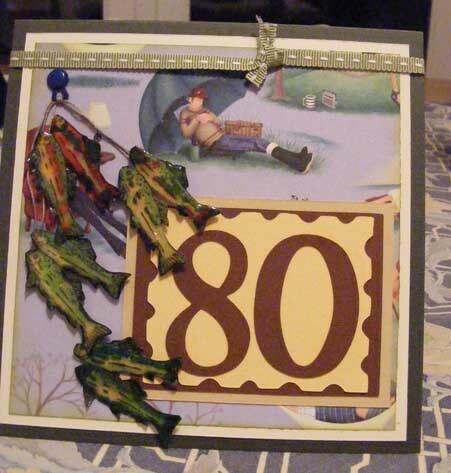 this is the other card I had to make last night. 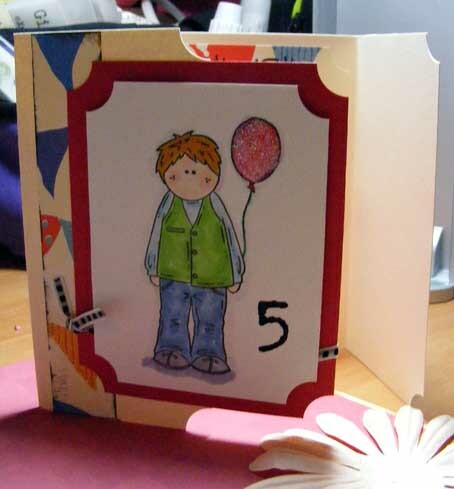 It’s basically the same layout, just the Boy with Ballon from Sugar Nellie image, and different English Paper Company papers from the Fun and Games pack.